Highlight: Named in the Australian World Cup Squad for the 2018 tournament, playing three games. Description: A fast fullback who has spent the better part of a decade playing in Western Australia, Risdon made 142 appearances for Perth Glory over 7 years before joining the Wanderers. He won several caps while at the Wanderers and played 3 games at the 2018 World Cup. Welcome. Where tf is Bunbury? A city on the southern tip of Western Australia, that is roughly the same size as Coffs Harbour. Welcome josh! Do not pish about with the ball at the back. That is all. If he does well enough to get a chant, I submit this as the basis. Great song. Not really sure what the connection to Risdon is, but I wholeheartedly approve. Use the chorus, Risdon instead of Rasputin etc. does he still have that man bun? I think he shaved it off towards the end of last season, much to his credit. Has made it into the 23 man squad for the Syria play off’s. 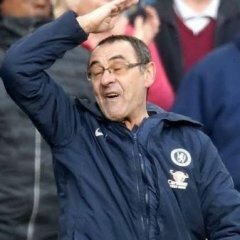 Happy for him but not so happy to lose a key player for the first match. And he's off to the World Cup. Risdon against Dembele of Barca, what could possibly go wrong? In all seriousness he's looked good under BvM and it's great to have some WSW representation. It's what he was like after a pre-season with Popa and that's how he got back into the NT. Few migrant groups have provided more to the Socceroos than the Croatians and there is set to be one more in the national team very soon. Fullback Josh Risdon is understood to be in the process of gaining his Croatian passport having applied on the grounds of his ancestry. The Wanderers defender has Croatian heritage through his mother's side to the Balkan nation and has explored gaining his citizenship in hope of gaining a move to Europe. With Croatia recently admitted into the European Union, a passport would open doors for Risdon to move freely to almost any club on the continent. 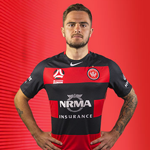 It's understood Risdon was close to sealing a move to a British club during the off-season but hadn't played enough games for Australia over the past two years to gain a work permit. Should he be included in the Socceroos' squad for the Asian Cup, it's likely he will be free to play in the UK and Europe by the end of the season. 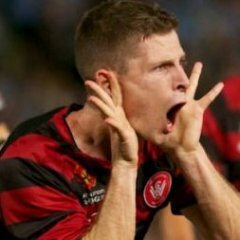 Supposedly Aston Villa are looking at Risdon (and smurf flog brandon o'neill) to join in January. Pardon my ignorance, but what would be the pros and cons for the club if that deal went through? Is there a transfer fee receivable? Yeah, we'd most likely receive a transfer fee. I thought that Villa were keen on promotion back to the EPL !! As someone noted elsewhere, must be without a medical, thought he was injured.